Here’s a couple of projects recently completed. 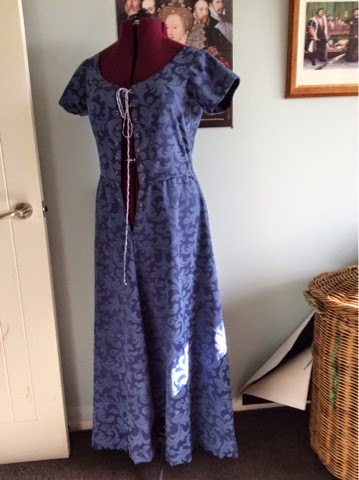 A new ‘fancy’ kirtle. 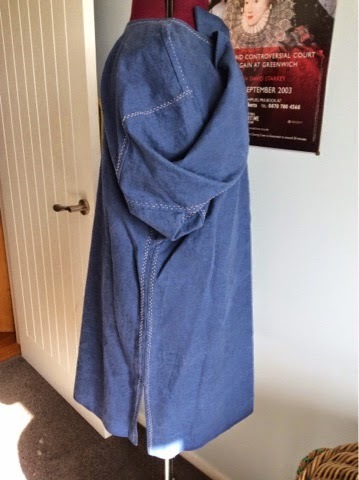 This one is fully lined in linen and has a v back. I saw the back detail in one painting and thought that I’d try it as a variation. 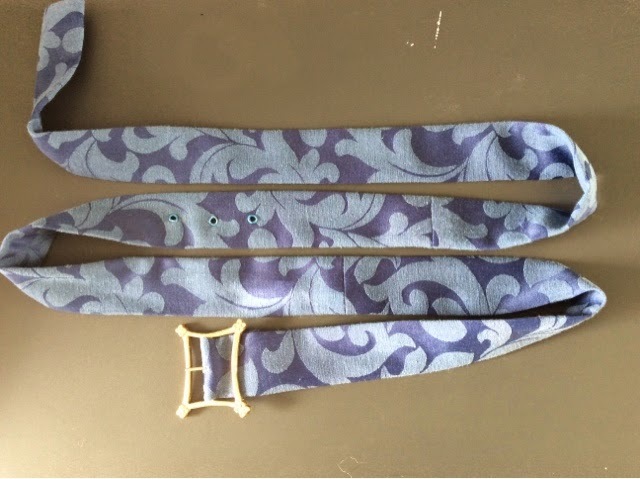 A houppelande belt in that same fabric as the kirtle. These were often very long, the tail left to simply hang down. 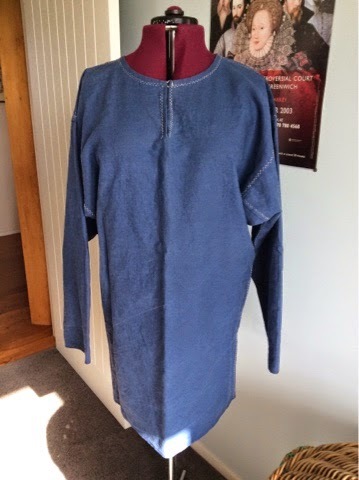 A new Viking shirt for Sigurd in blue linen sewn with natural linen thread. 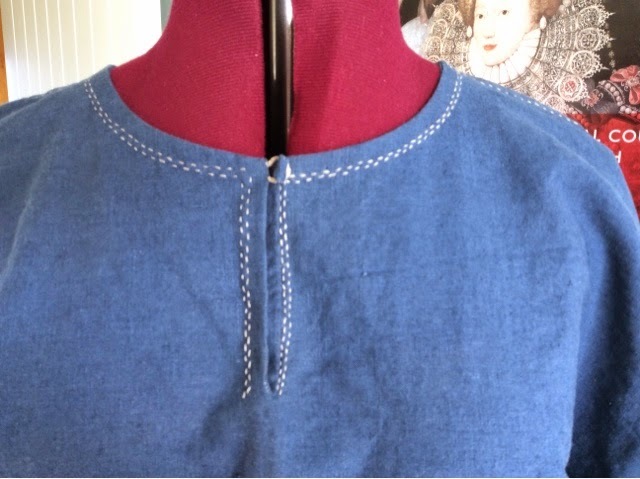 Many of the seam finishing was done using a herringbone stitch with the cross on the inside, this shows a double running stitch on the outside. This shirt is different from a tunic in that there are no gores and the sides a split, allowing them to be tucked into pants. A simple loop and toggle closes the throat. 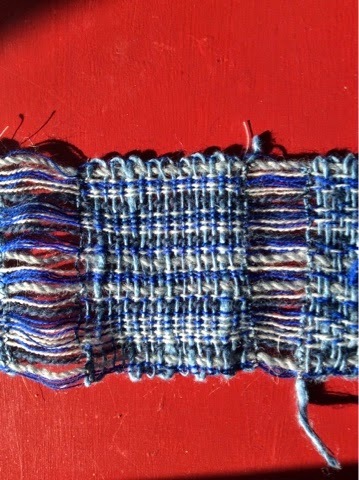 Plus an ongoing project, another belt, this time brocaded tablet woven in two colours. 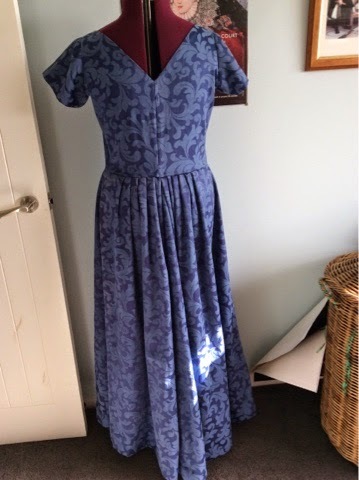 This will be a by short belt to go with the kirtle. Sections of black with three silver crescents are followed by sections of red cross hatched silver, as in my SCA arms. Finally four samples for my next weaving project. This is going to a loosely woven shawl. 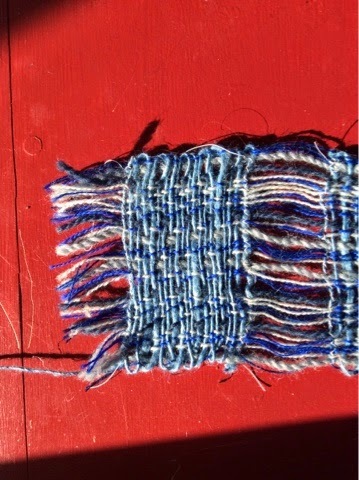 The warp is made of various weights and colours of wool from the stash and the warp is a slubby sky blue tussah silk. 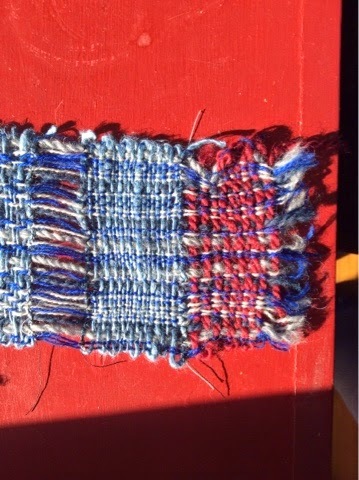 All the samples were woven, over stitched so they didn’t move too much and washed. 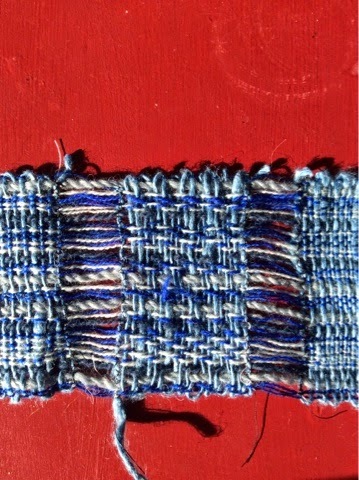 The first sample is in plain weave closely beaten. It was too stiff, the silk being quite thick. The next sample was beaten more loosely and is a 2/2 twill. The looser beating seemed to work so I tried another in pain weave, beating loosely. Finally I tried a 3/1 twill. 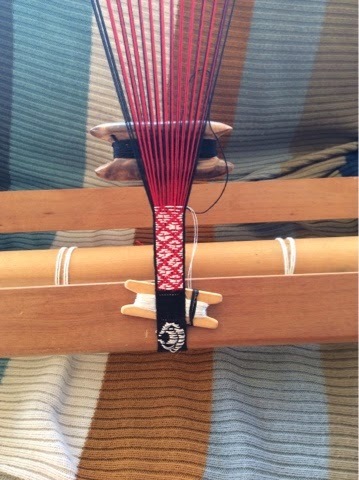 This leaves more warp on one side and more of the silk weft on the other side. Below is the silk side. After handling and consultation with some more experienced guild members I have decided to go with the plain weave loosely beaten. This will be a challenge as my instinct is to beat pretty hard. It will be a good experience to have to moderate my beat and I should try to measure my picks to keeps them even.